We have recently had the opportunity to add Ring-tailed Lemurs to our collection of incredible animals! We do not offer lemurs for sale. Lemurs are incredibly intelligent, interactive, and social animals. 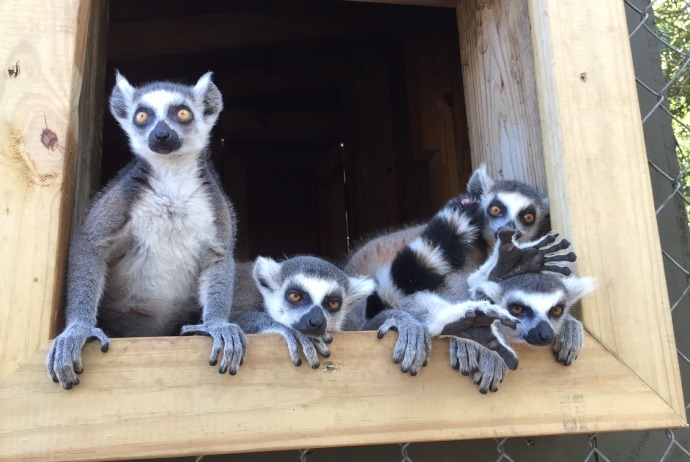 Aside from the great joy we get from being able to interact with the lemurs, our goal is to raise awareness and further the conservation of the Ring-tailed lemur species.